Snorkeling in the Virgin Islands is an undisputed a must-do. While many of the beaches of St. John and St. Thomas offer great snorkeling from the shore, getting in a boat offers you even more. 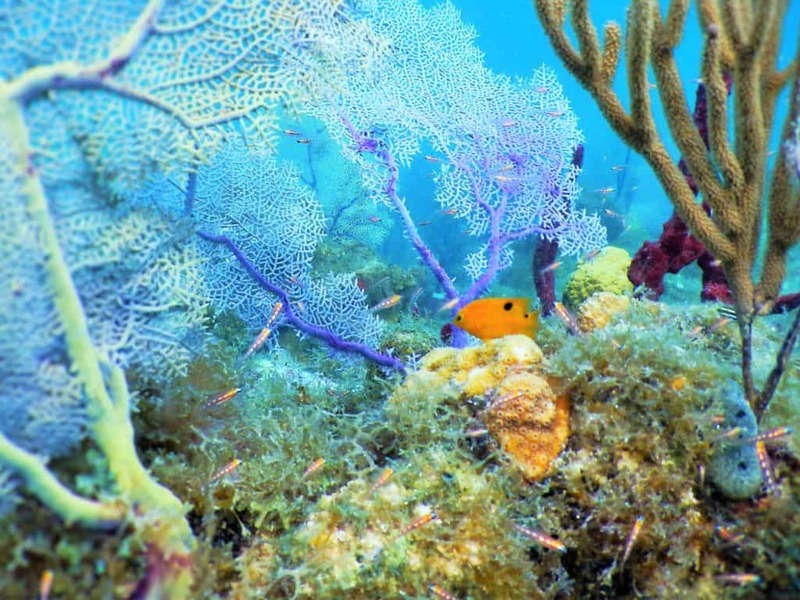 Want to make snorkeling the focus of your day trip to the British Virgin Islands? After years of exhausting research, here are our recommends for you. We’ll start our trip at Sapphire Marina in St. Thomas or the National Park dock in St. John – pick up location is up to you. After getting our BVI forms complete for check in, we’ll head to West End, Tortola to check into customs. Indians – our first stop. 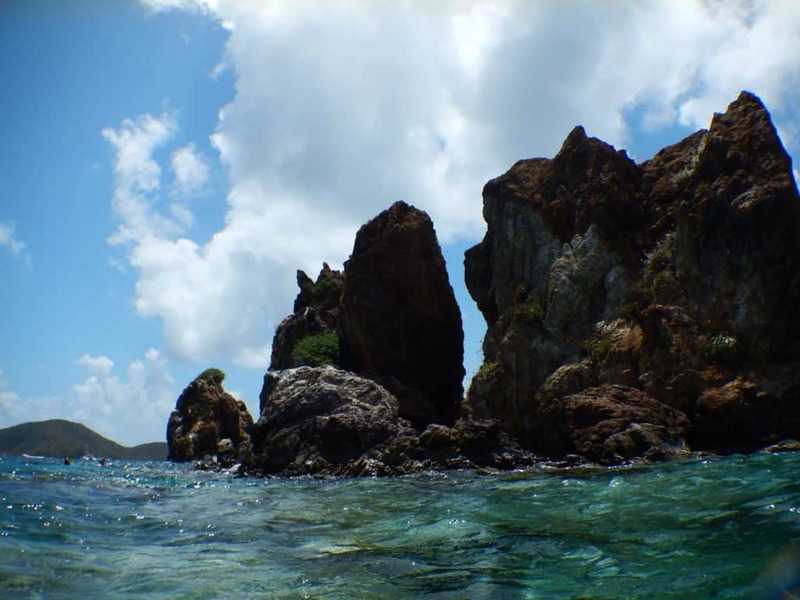 This is one of the most popular snorkel spots in the BVI. Once you jump in, you’ll understand why. These rocks stand almost verticle from the sea floor giving snorkelers a wall of sea life on one side and the bottom of the ocean on the other. The sea floor varies from just 10 feet deep to around 50 feet and is covered in coral, sponges, invertebrates, and fish. 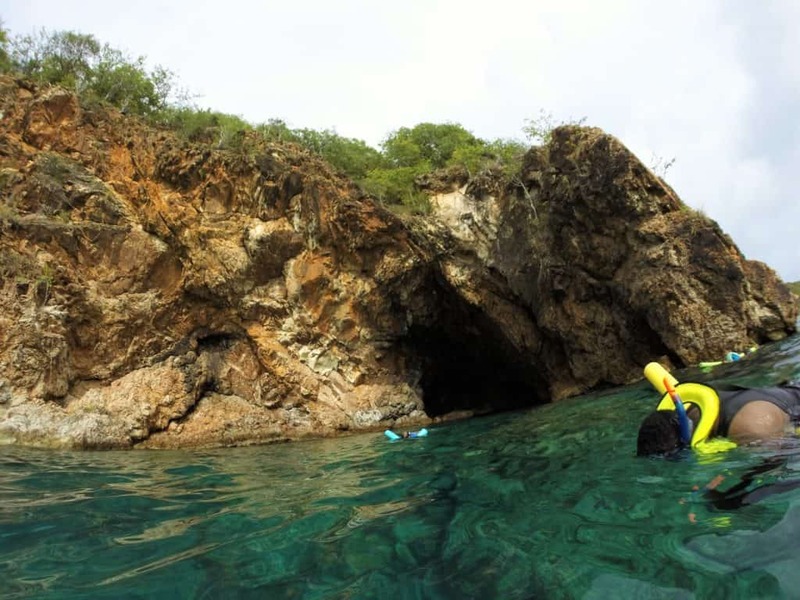 Norman Island Caves – your second snorkel. These caves come with a great story, ask your Captain to give you the details while you get your gear ready. This is very protected snorkel around and inside three caves on the West side of Normal Island. You’ll be surrounded by some unusually friendly yellow tail snapper and surgeon fish at least once during your swim. Lunch – ask your Captain what is available in the area, they’ll let you know what will work for your timeline and hunger. Scotty’s Secret Snorkel Spot – we’re not giving any more details. 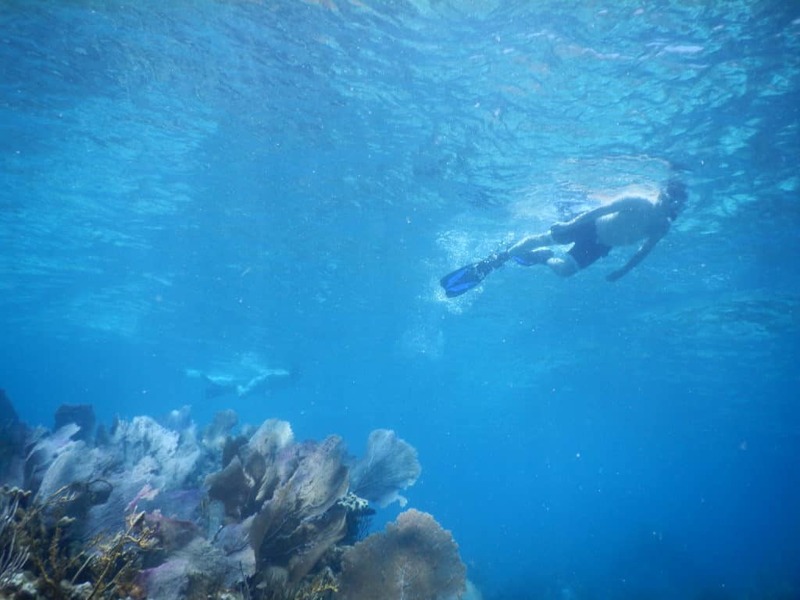 Ask your Captain about your favorite snorkel spot during lunch! 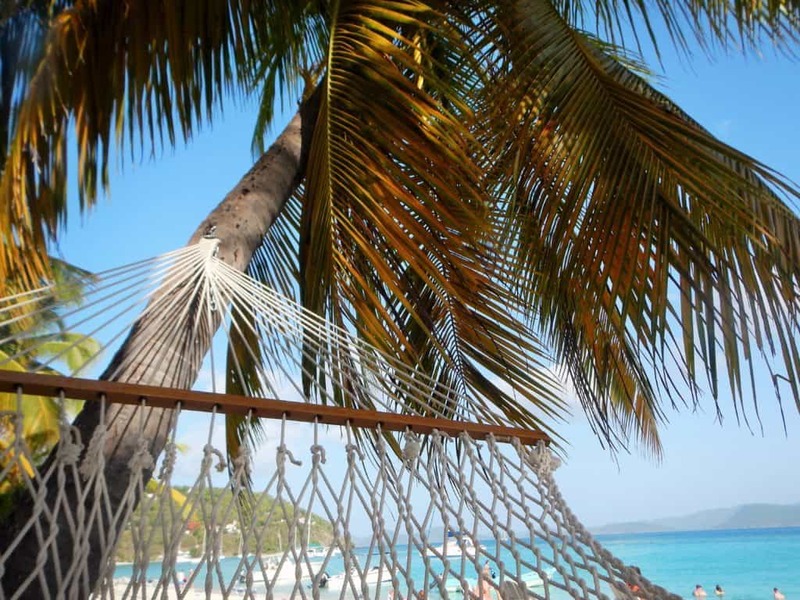 End your day at White Bay, Jost Van Dyke. It is the perfect reward for a long day of snorkeling!